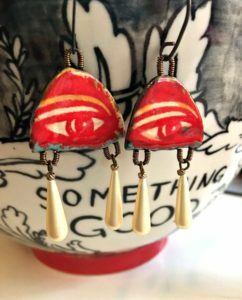 The Earring Whisperer: Jeepers – Where’d You Get Those Peepers? Hello, hello!!! It’s great to be back this month and share some new work with you! 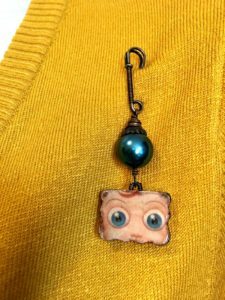 I have an attraction to beads and charms with eyes, and I always have. I do indeed believe they are a window to the soul. I have used a few of the charms from my collection to create some earrings and brooches to show you. 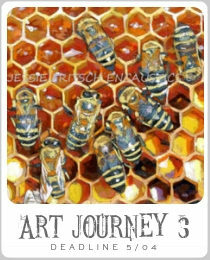 I have mixed newly created art-beads from various artists and combined them with some lovely vintage bits. 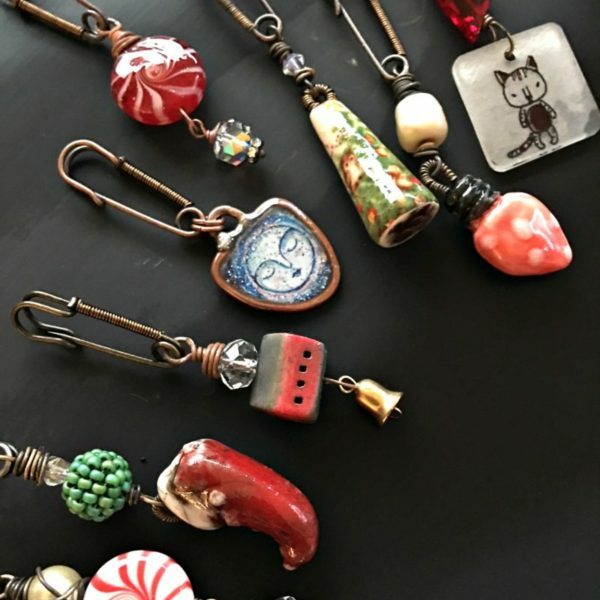 Here are some wonderful ceramic charms made by Josephine Beads. 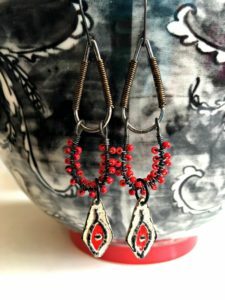 They are quite bold but adding the soft teardrop vintage glass pearls really mellows them and the extra long length of the drops gives them movement and elegance. Here are a few pieces that lived on my worktable for awhile till I found just the right combination. 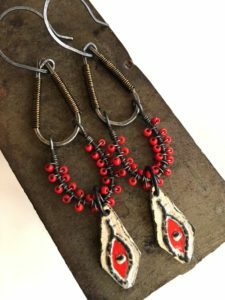 I had purchased the cool beaded U-shaped connectors from Anna Pierson of Sagahus Components which I really loved. 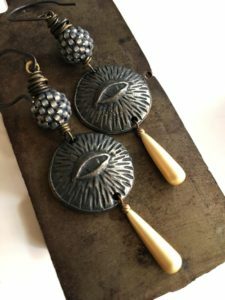 I decided to join them to some hand forged teardrops by Joanne Tinley and add my own spiral wrapping. 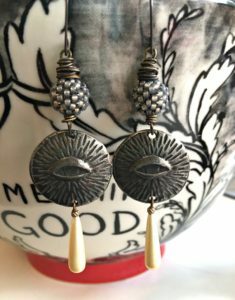 The small but bold eye charms are by Vincent and Nooma Cav of Inviciti. 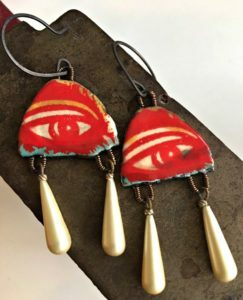 I was really drawn to the colors and loved the idea of the opaque creamy/ivory with the contrasting dark outline and bold pop of red. You can walk like an Egyptian in these! The grey beaded beads by Songbead almost look like woven metal next to the Inviciti pewter shields with the subtle eyes. I wanted this pair to stay monochromatic for the most part. 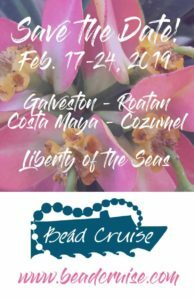 The beaded beads also have a slight touch of ivory luster to them, so I added those wonderful teardrops again – the shape and color was just too perfect not to! They have a warrior feel, don’t you think? 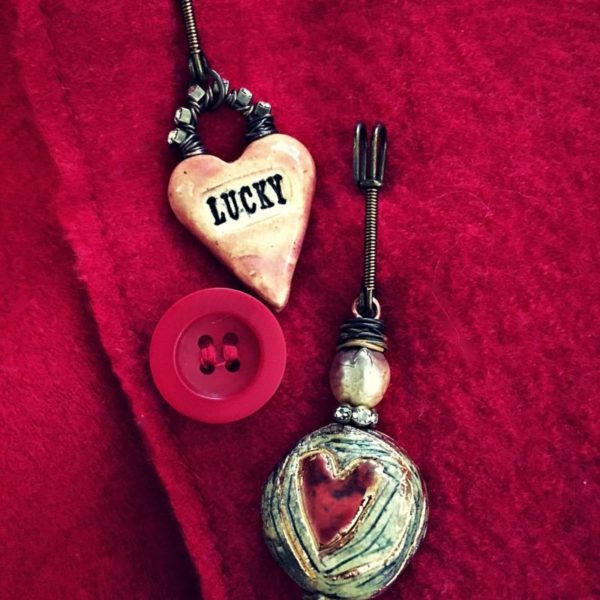 I love making my whimsical little pins/brooches and this was the perfect theme! 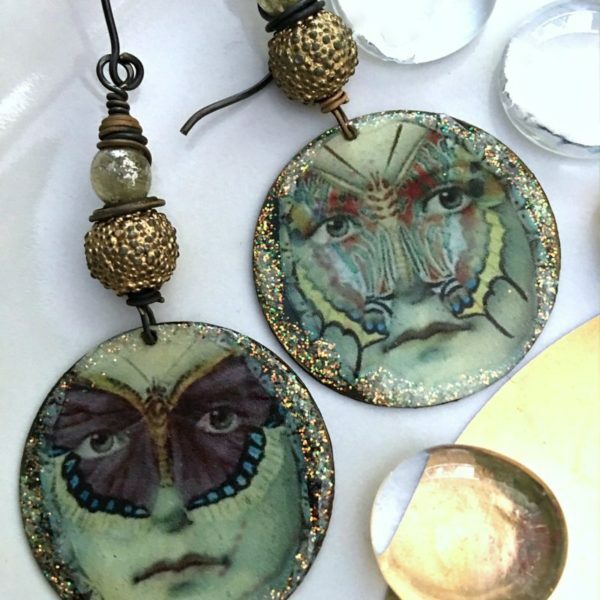 Ceramic charms by Kiyoi Design. 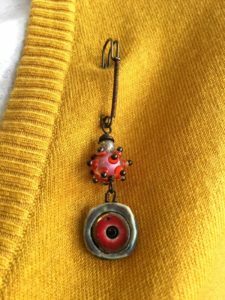 I added the perfect glass pearl and oxidized findings to make this sweet brooch. 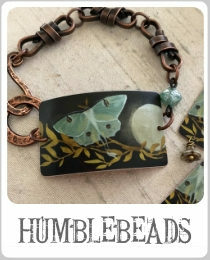 Two squeee worthy finds in this little pin. 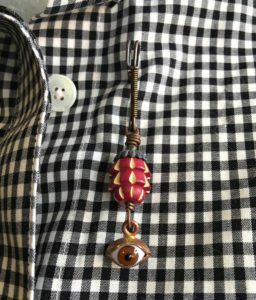 Rare vintage celluloid carved bead from the 1940’s with the most wonderful glass eye I picked up at Allegory Gallery . Ahh, so many mornings! 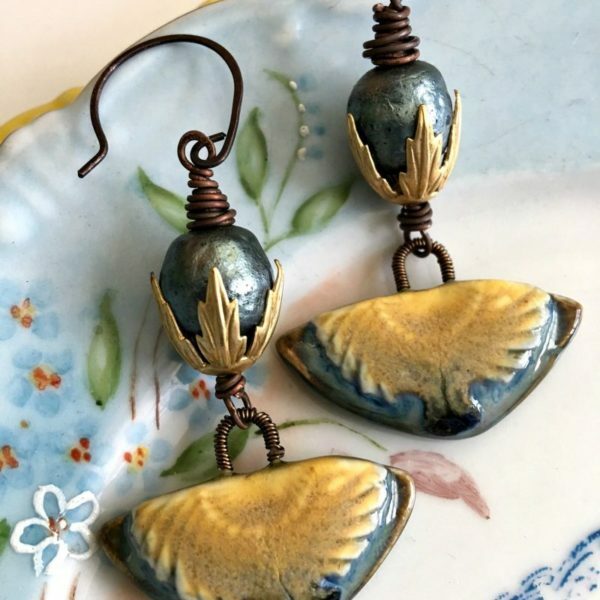 Ceramic charm by Diane Hawkey and an outstanding encased lampwork bead by retired Canadian artist, Marie-Andree Marchand of Blu Verre. I hope you found a little inspiration here today! It’s always a joy for me to be here!